Authority Marketing: The missing ingredient to increase Leads, Sales AND Prices! Do you struggle to stand out in a crowded market? Are you often just compared on price? Would you like to boost the results of all your marketing whilst spending less? If you answered YES to the above questions, you MUST attend this free workshop. Steve Brossman known as the Authority Catalyst and Author of the Amazon No. 1 Best Seller ‘Stand Up, Stand Out or Stand Aside’ will show you WHY you need to create your ‘Authority Factor’ and how to build and leverage it to massively increase the returns on your current marketing. This workshop is ideal for Professional Service Providers (Health and Lifestyle, Financial, Legal or domestic), Coaches and Consultants who want to build their business while actually spending less on marketing. Steve Brossman, former National Professional Track Champion and has been an Entrepreneur since 15. He has created several 6 and 7 figure businesses of his own, including inventing and marketing an environmental product selling 4 million units into 26 Countries, building an licensing another business into 5 countries. 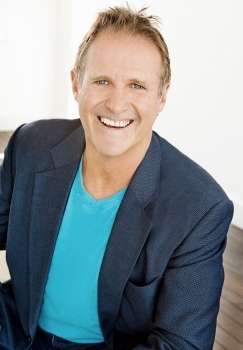 Steve has over 20 years TV and video experience including hosting and producing his own TV Show for Channel 9. He has spoken in 15 countries and trained over 21,000 Speakers, Coaches and Business Owners and was named No. 1 Video Marketing Influencer for 2012. He now consults to small businesses through to multi- billion dollar corporations on how to have Stand Out Businesses. Following the presentation we welcome guests to join us for drinks and networking on our CBD rooftop.